Founded in 1927 as the Arkansas Museum of Natural History and Antiquities in a downtown storefront, by 1997, the museum had been located in at least two other spots and had several different names. A hardhat and reflective vest have been part of Gretchen Hall‘s work wardrobe almost every day for the past 30 months. As the President and CEO of the Little Rock Convention and Visitor’s Bureau, she has been actively overseeing the deconstruction and reconstruction of Robinson Center Music Hall. Taking a New Deal era assembly hall and making it into a state-of-the-art performance facility is not an easy task. Gretchen and her team have worked with the architects, engineers, designers and consultants to make it happen. Gretchen joined LRCVB in 2001 and has worked her way up through the organization. In May 2011, she was named to her current position. Since that time, the LRCVB has undertaken numerous efforts to enhance Little Rock’s cultural life including a new amphitheatre in Riverfront Park, enhanced programming at the River Market, and increased financial support of cultural organizations. In addition, she helped lead the effort to see the additional penny of the hotel tax be dedicated to support the Arkansas Arts Center and MacArthur Museum of Arkansas Military History. That tax was approved by voters earlier in 2016. The new Robinson Center will feature seats that are closer to the stage and acoustics that can be adjusted to maximize the different needs of a symphony performance and a Broadway musical. The changes in the facility have already attracted bookings by the national tours of The Phantom of the Opera (in 2017) and The Lion King (in 2018). In addition, there will be new special event space including a ballroom and meeting rooms. The historic lobby at the top of the iconic front steps is being restored to its original appearance — much of which was stripped away or covered up in the early 1970s. After the November 10 ribbon cutting, Robinson Center will be re-opened. As Hall points out, almost all residents of Central Arkansas have a connection to Robinson Center. She notes in her family alone, her mother played basketball there, her own high school graduation was there, and her niece has appeared in Ballet Arkansas’ The Nutcracker there. 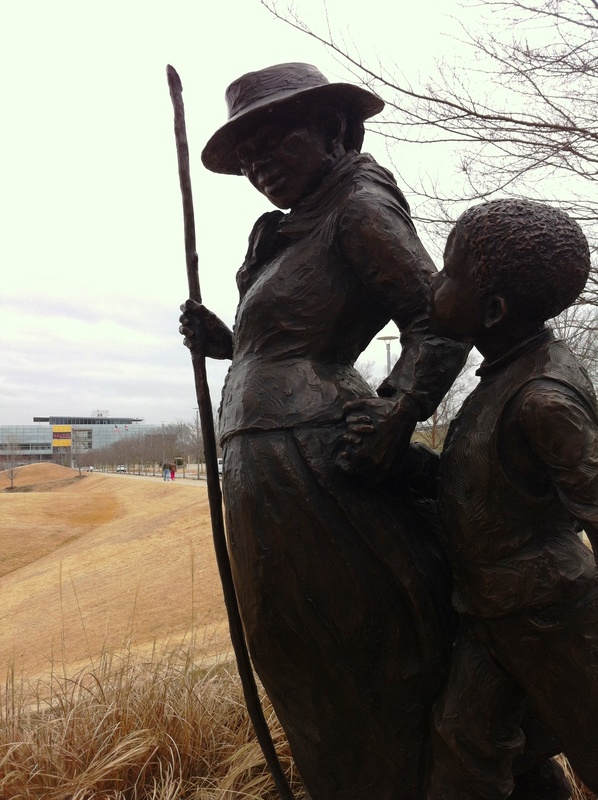 With news that Harriet Tubman will replace Andrew Jackson on the $20, it is a good chance to revisit Little Rock’s Harriet Tubman sculpture. 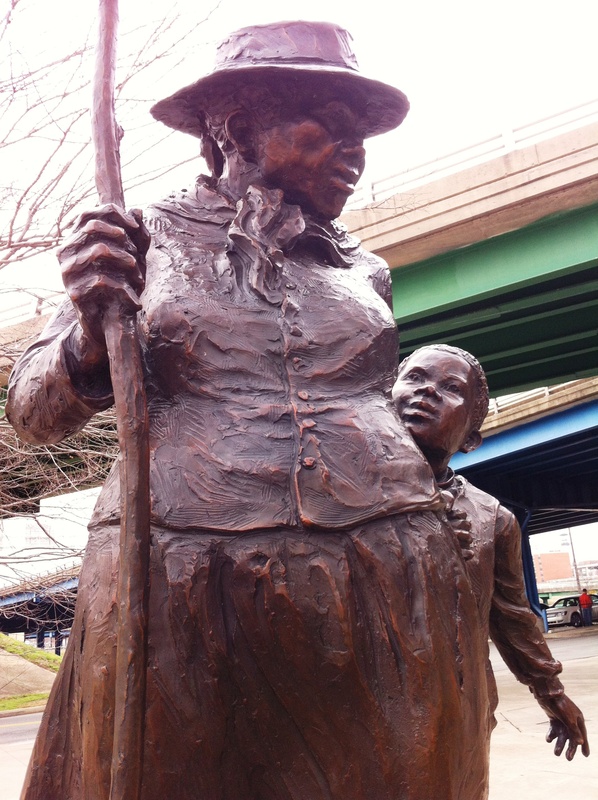 The statue was originally located in Riverfront Park near the site of the current Game and Fish Nature Center. It was relocated during the construction of that facility and now anchors the entrance to Clinton Presidential Park. Harriet Tubman was a gift of Haskell and Peggy Dickinson to the City of Little Rock.